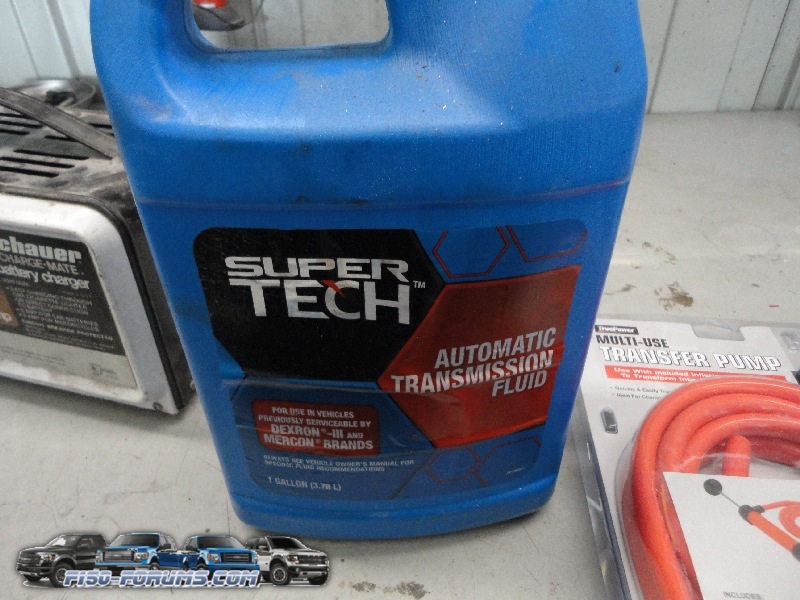 How to change transfer case oil - Ford F150 Forums - Ford F-Series Truck Community. This was done on a 1990, but for the most part, every year should be very close to the same procedure. First place your truck on a flat level surface. You will need a jug of ATF. 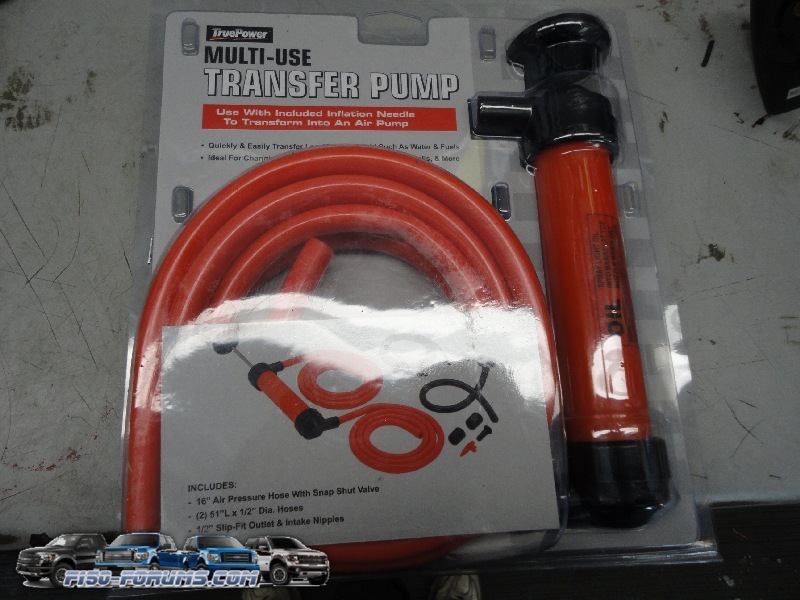 You don't need, (but it will make things much easier), a fluid pump. This one was only $5.99 at Menards. 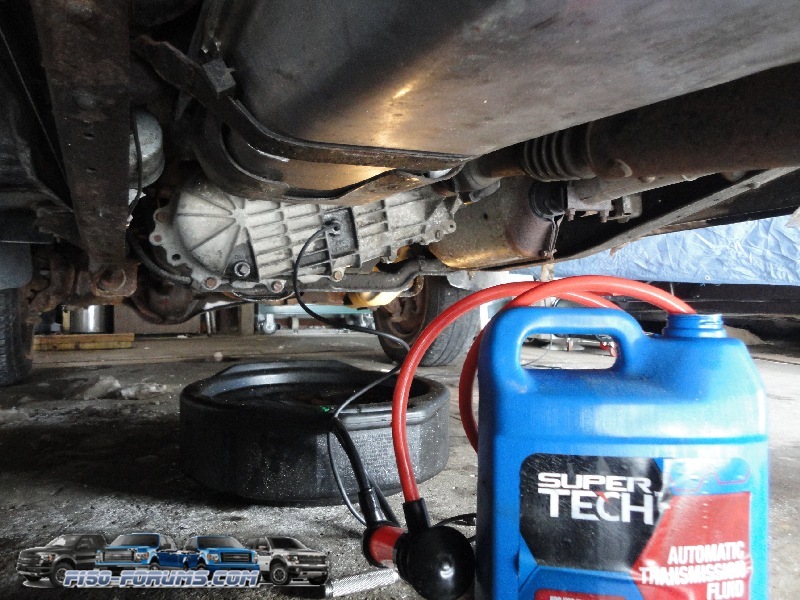 Otherwise you can place the ATF jug up high and siphon the fluid down in to the transfer case, but that will take a long time. 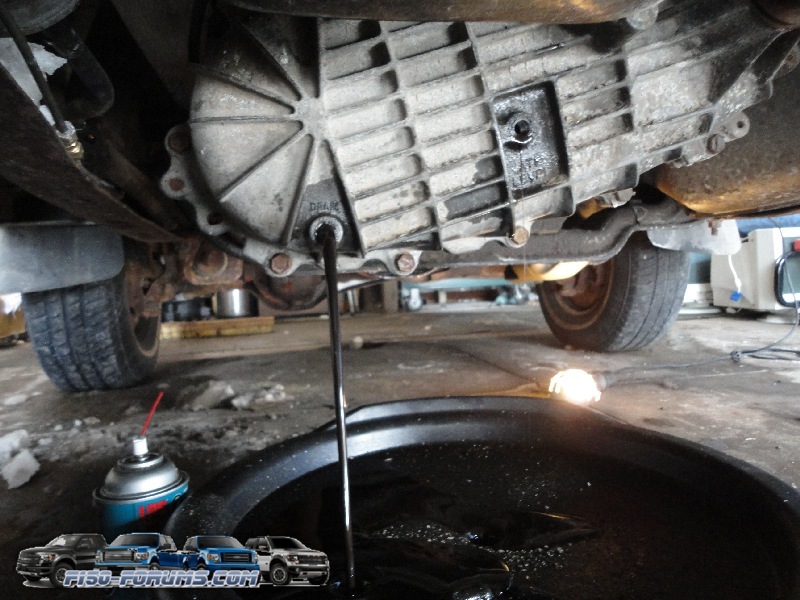 You will want to spray some penetrating oil on the fill and drain plug to help loosen them. You may need to use some heat, but you don't need a lot. Remove the top, fill plug first. 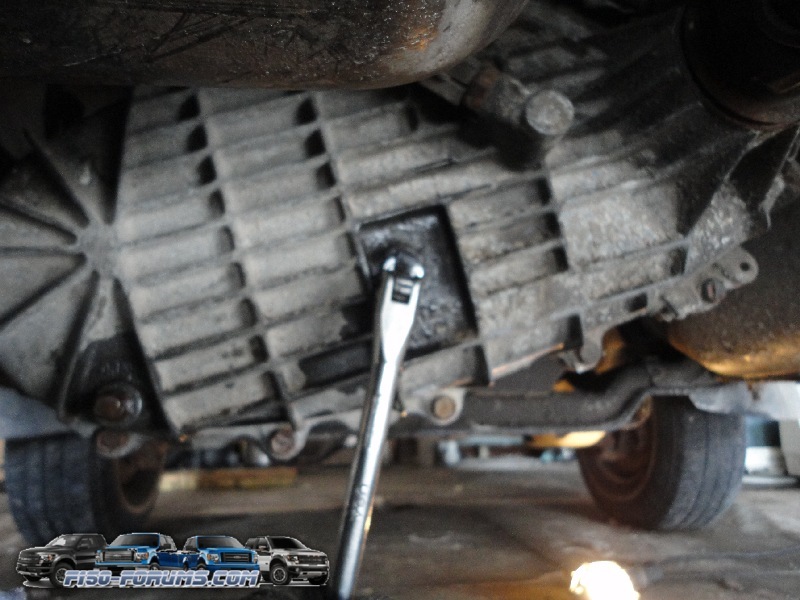 Then remove the bottom, drain plug. Allow fluid to drain out. 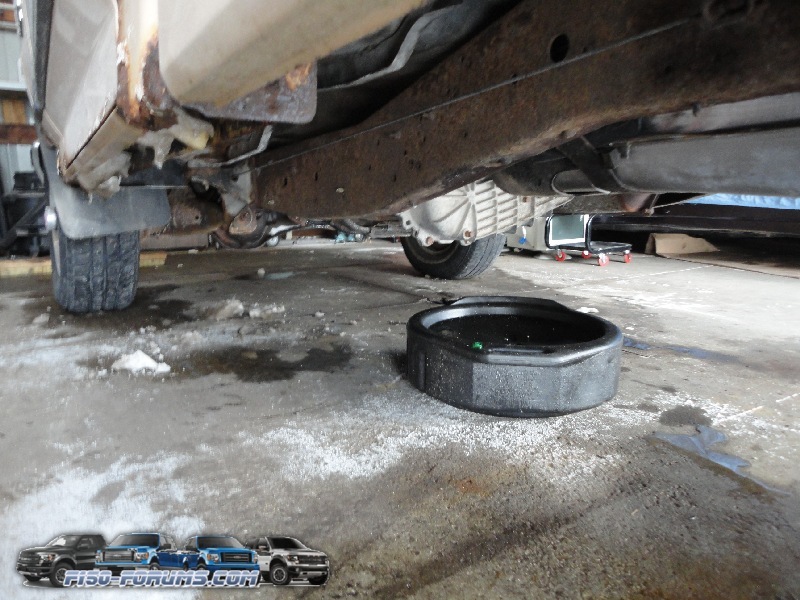 When drained, put the drain plug back in. 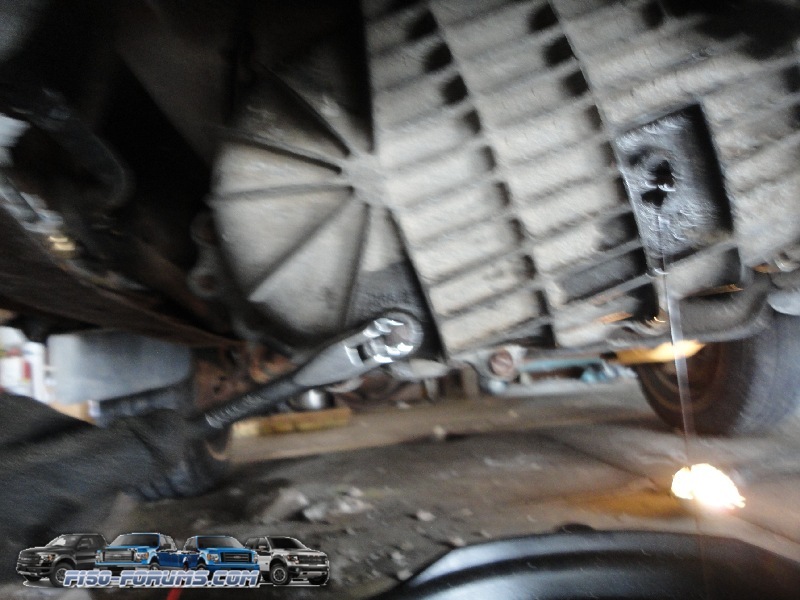 Then start to fill the transfer case. 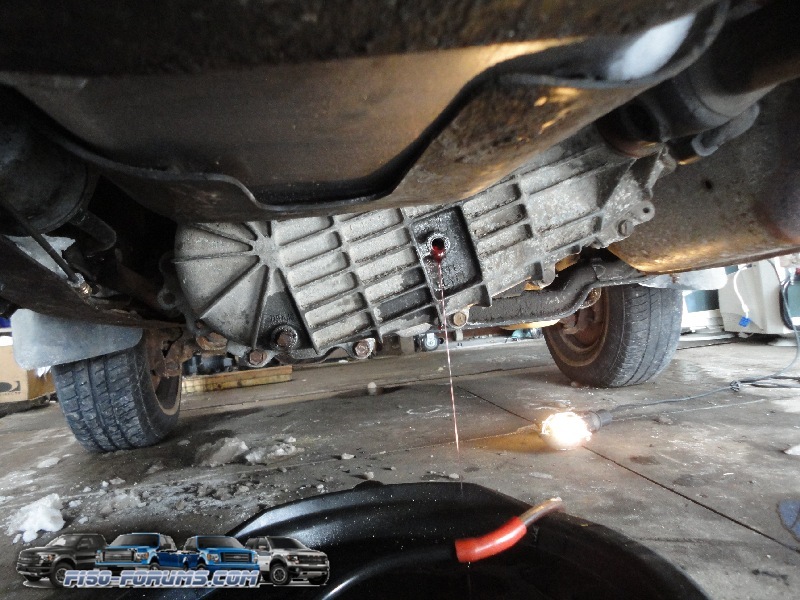 Keep filling transfer case until fluid starts to come out of fill hole. Then put plug back in. make sure they are tight and check for leaks. I just bought a 1996. 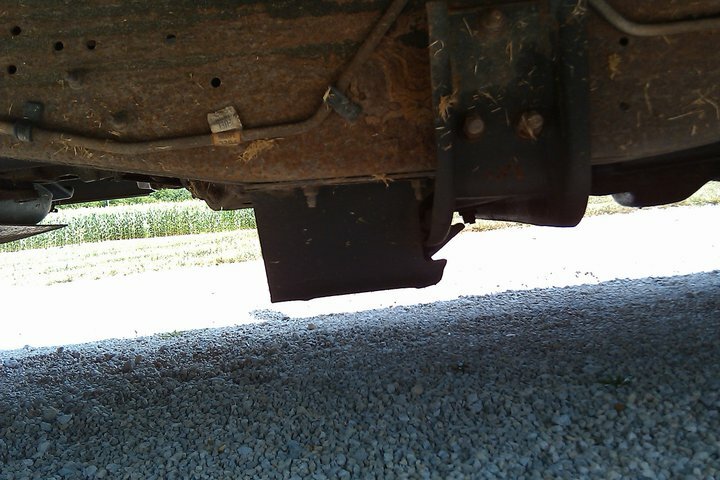 It has some sort of skid plate in the way. Just wondering if it was a stock item from factory or aftermarket someone put it on there. Greg, that appears to be stock, but I can't say for sure. 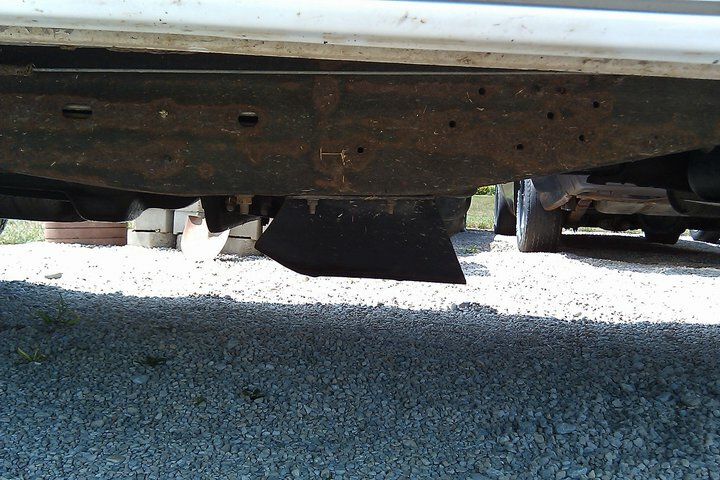 May have been part of a off road package. The bolts look they they have been there for a long time. Kinda what I was thinking, some sort of off road package. The fuel tanks also have plates. Good for me I guess. Something just hit me! The 4X4 decal on the rear of bed also says "off road". Anyone know where the build sheet usually is on these? I'd like to see if it's still there.